In Brief: a travel magazine for the winter sports sector. Content: articles, news, pictures and information about skiing and snowboarding in the most exotic locations in the world, as well as the lesser known ski resorts in established winter sports nations. There are currently 192 different countries on planet earth. You may be surprised to hear that the snow falls on at least 90 of them, from Tanzania to Taiwan, Israel to Iran. SnowSphere explores the world through the medium of snow. Blending travel and local culture with skiing and snowboarding, we bring you inspiring, amusing and informative snow stories from the more mysterious peaks of the planet. SnowSphere isn’t interested in which rider just got signed to Burton, which pro has got a new signature pair of skis, or who won the FIS open. Industry news is already well documented in the mainstream snow sports media. We have a crack squad of undercover agents strategically positioned all over the globe, wiring us reports on the snow wherever it may be. We'll take you through the chest deep powder of Hokkaido - Japan, into the back woods of the Yukon - Canada, and way down under to the land of Oz. From inside Argentinean gullies, to the cedar studded slopes of the Middle East, through European glaciers, to the terrain parks of China, SnowSphere is the global snow mag. SnowSphere.com was conceived by chief editor Sam Baldwin, who was inspired by his visits to small, unknown snow Meccas in Japan. A born and bred Englishman with a deep love for all things snow, he has ridden powder clad mountains in eleven different countries across four continents. Sam has written for a number of snow sports publications including White Lines, Future Snowboarding, The World Snowboard Guide, Cross Country Skier, SnowJapan, The Snowboard Journal and he writes a monthly travel column in Snowboard UK and Fall-Line Skiing Magazine. To learn more, view Sam Baldwin's portfolio. Web developer and designer Ben Capewell is responsible for the cyber side of SnowSphere. 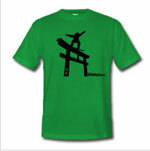 He is a keen snowboarder and has ridden in Canada, Europe and Japan. He is also a published freelance photographer. To see some of Ben's work visit Benito's Picture Lounge. Fran McElhone is SnowSphere's sub-editor. She tracks and kills grammatical errors, misspellings and typos. She also keeps the SnowSphere Blog updated. Ian Stewart is SnowSphere's graphic designer and designs SnowSphere's line of snow country themed t-shirts and hoodies. Dave Scoppa is a well seasoned snowboard instructor who has spent several seasons in both hemispheres. He brings us regular insights into the snowboarding world. Ross Wood helped create the Snowboard Japan design. He is also a published photographer, to view more of his work see: Ross Wood's portfolio. Former web designer Kim Daniels and sub-editor Jon Mitchell have now left the team due to work commitments, but played a crucial role in the birth of the site. Thanks guys! SnowSphere also has a number of freelance agents scattered across the peaks of the planet, documenting their turns for us. If you're interested in writing for us, first read the SnowSphere writer's guidelines.